Cable television is a system of distributing television programs to paying subscribers via radio frequency (RF) signals transmitted through coaxial cables or light pulses through fiber-optic cables. This contrasts with traditional broadcast television, in which the television signal is transmitted over the air by radio waves and received by a television antenna attached to the television. SITI Cable Network Limited is one of India's leading Multi System Operator (MSO). With 56 analog and 14 digital head ends and a network of more than 12000 Kms of optical fibre and coaxial cable, it provides its cable services in India's 60 key cities and the adjoining areas, reaching out to over 10 million viewers. SITI Cable deploys State-of-the-art technology for delivering multiple TV signals to enhance consumer viewing experience. 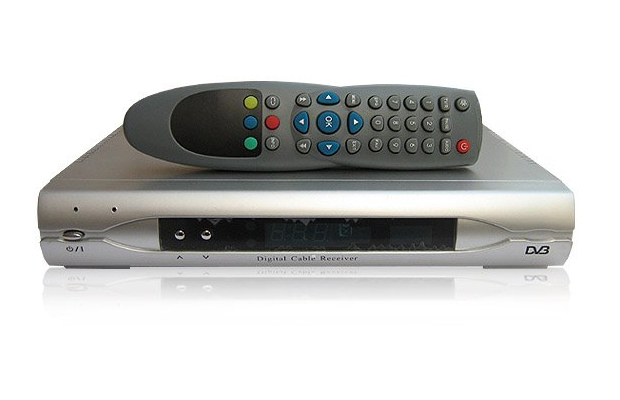 Its product range includes, Analog Cable Television, Digital Cable Television, Broadband and Local Television Channels. SITI Cable has been providing services in analog and digital mode, armed with technical capability to provide features like Video on Demand, Pay per View, Electronic programming Guide (EPG) and gaming through a Set Top Box (STB). All products are marketed under SITI brand name. Today, SITI Cable stands high as one of India’s Leading Cable TV Networks. While our feet hold the ground strong with a rich heritage of technological advancement, our heads are soaring high towards the horizon of entertainment world as the most preferred and innovative leader. This is a device which plugs into a television and provides content. Generally speaking, it refers to devices for broadcast content rather than recordable media such as DVDs and videotapes. The most common set-top boxes were those provided by cable and satellite companies. The main job of these boxes was to deal with the fact that these systems carry more channels than a television can assign to its own channel numbering system. The box therefore takes a signal carrying the data for multiple channels and filters out the particular channel the viewer wants to watch, usually sending the signal to an auxiliary channel on the television. The box can also decode scrambled content, either for a premium channel or for events on a pay-per-view basis. Modern set-top cable boxes take advantage of the two-way communications available with cable to provide interactive services. At its simplest, this can allow users to order a pay-per-view event without needing to telephone the cable company. At its most complex, this can allow almost complete access to the Internet. Set-top boxes are now used in many companies even for terrestrial or "over-the-air" broadcasts received through a TV aerial. This is because these broadcasts are available in digital format. As with cable and satellite television, the digital terrestrial system carries multiple channels in the "space" previously assigned to a single channel.